They'll soar down the mountain with the Obermeyer Hawk Ski Jacket. Meant to keep them dry with HydroBlock® Sport water resistant material, coming home damp is less of a concern. And with EpicLoft™ insulation with 220gm through the body, 180gm in the sleeve, and 80gm in the hood, keeping warm is easier than ever. They'll love having the comfort of the interior wind guard and fleece chin protector. 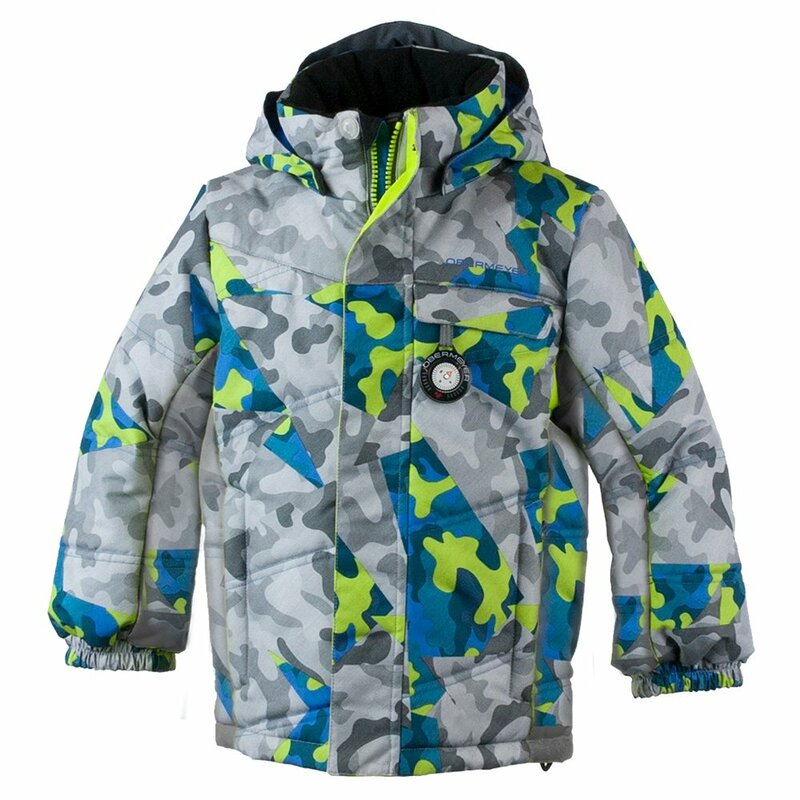 You can count on the Obermeyer Hawk jacket to keep your little one safe and warm during their winter adventuring. A removable hood with inner layer stretch gasket and ear warmers provide extra protection when the temperature drops. Reflective trims and logo ensure visibility for added safety. An integrated water-resistant, adjustable powderskirt is perfect for blocking out snow and wind.